How do you know if and when you’re ready to expand your family? After having our second child, we said that was it. One boy, one girl, done. I know some people enjoy being pregnant and celebrate the changes that happen while growing a tiny human inside them, but I have never been able to do that. I’ve struggled with my weight all my life so gaining weight, despite the fact that it’s for a good reason, just makes me super uncomfortable. Not to mention the stress of having two children. It was hard to balance my time when our youngest was immobile but as soon as she started moving, game over. 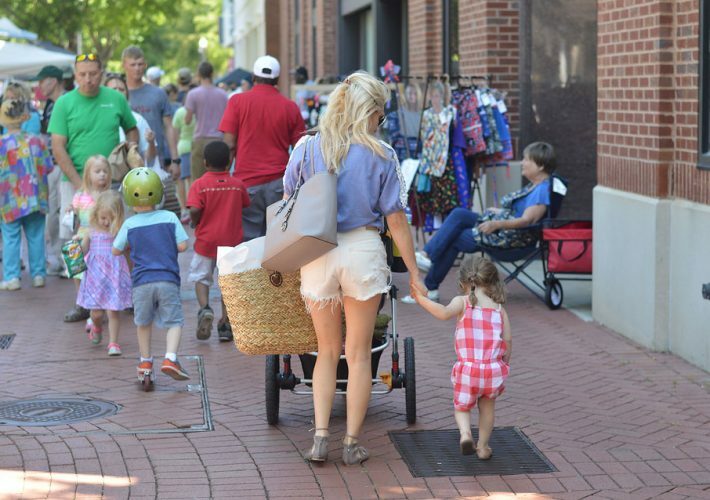 2 kids, 1 mom all day every day… STRESS. But then I started to do some research. I know, how much “research” could I do about having a third child? But I started reading articles and blogs and scouring Pinterest for opinions, because I’m honestly so torn. We’re honestly so torn. Ever since I was little, I wanted a big family. Fast forward 20 years and things are a little more real now. Taking care of another human is a lot harder than taking care of baby dolls. You have to think about family dynamic, financial responsibilities, and keeping your sanity. Because I don’t think anyone will tell you parenting is a breeze- it’s tough. There are so many reasons I can think of to not have a third child, but the few reasons I can think of to have a third are big ones. Another child to love. Another sibling for my kids to bond with. Another stilt of family support. Pretty good reasons, don’t you think? But then I worry about dividing my attention, affording a third child, and adding more stress to my life than I’m already dealing with. Can I handle being pregnant for another 9 months? Giving birth? Dealing with recovery? All while raising two other kids, working full-time from home, and picking up the slack when my husband’s job becomes demanding? I don’t know. I don’t know the answer to any of these questions and I’m not so sure there is a clear cut answer. I read something somewhere that said these years are fleeting; these are the years you’re in the trenches and that soon enough, you’ll wish you were back here. That struck a cord with me. Days may be hard and nights might be long but I live for these moments with my kids. They bring a happiness out of me that I never knew was possible and if I have the chance to love more kids, why shouldn’t I? I know people have their opinions about expanding a family but at the end of the day, it’s a decision between no one other than the family itself. I honestly don’t know if there’s ever a good or right time but I truly believe that everything happens for a reason so who knows, maybe in a few years we will decide it’s a good time to expand our family. And God will either agree or disagree with our decision. I’m not saying it’s happening anytime soon or at all, but it’s something that’s been weighing heavily on my heart and mind. I don’t want my kids to be too old before adding another sibling but at the same time, I don’t want to overwhelm myself or them. They deserve the very best and I need to make sure I can give it to them. So now I need to hear from you! 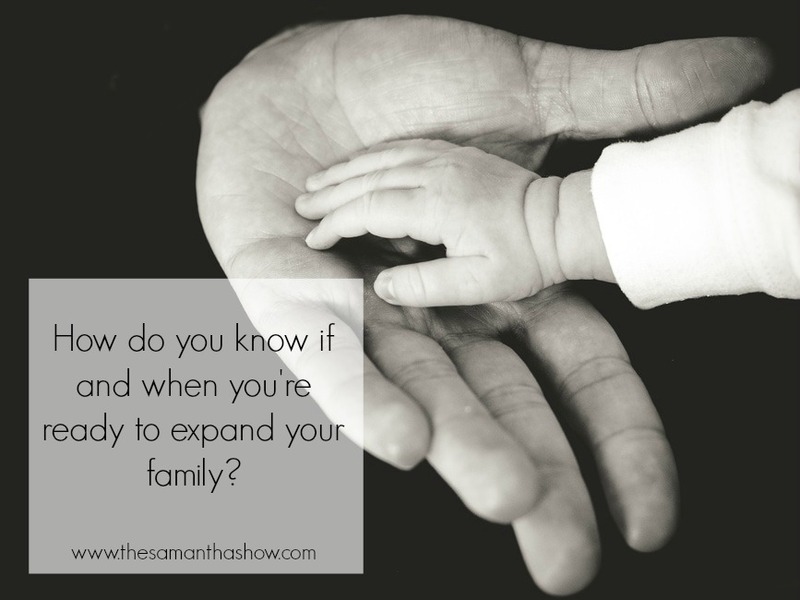 How do you know if and when you’re ready to expand your family?